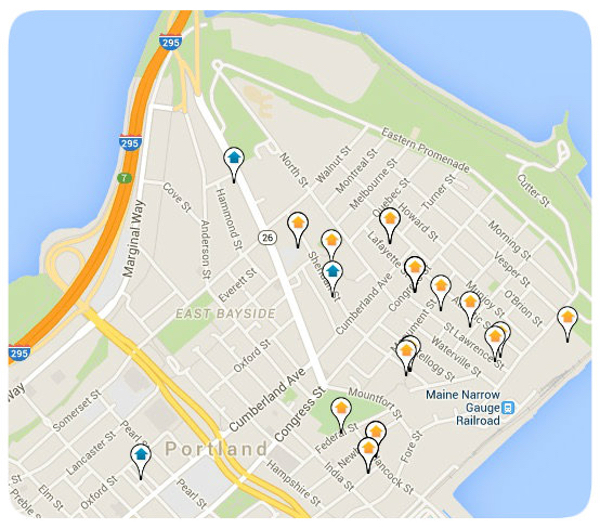 Portland Maine's East End is arguably the hottest real estate neighborhood in the State of Maine. Geographically, it is anchored by the Eastern Promenade, which is the Eastern facing oceanfront park at the edge of Casco Bay. The other geographic landmark is Munjoy Hill. The East End was historically a working class neighborhood and also a popular location for ship captains to build their homes as they enjoyed the ability to look out over the entrance to Casco Bay. Recently, the Munjoy Hill neighborhood has been a popular location for restaurants, coffee shops, boutiques and a mix of older existing single family homes, multi-family homes and newer modern condo's. Listing courtesy of Maine Realty LLC.